The 98-minute film was produced by the Eisenhower Project, with support from Sony Pictures Classics and BBC Storyville. It was the winner of the Grand Jury Prize at the 2005 Sundance Film Festival and a 2006 Peabody Award. 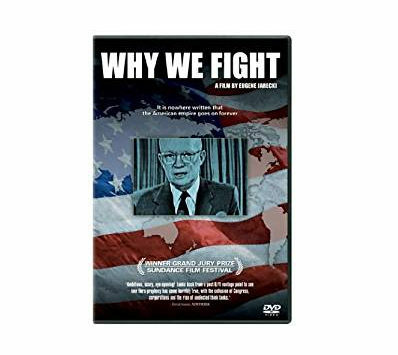 The film includes footage of President Eisenhower’s Farewell address on January 17, 1961, in which he warned of the establishment of a military-industrial complex. “This scary eye-opening documentary looks back from a post 9-11 vantage point to see how Ike’s prophecy has come horribly true,” said David Ansen, Newsweek. Following the film, a group discussion will be facilitated by Pam Sanfilippo, Eisenhower Presidential Library Education Specialist.